**NEW YORK TIMES BESTSELLER • What if you lived out the drama of your twenties on Air Force One? Very human and compelling, this memoir was not at all what I expected, but was thoroughly compelling in its candour and originality. I feel privileged to have shared a personal and unique professional journey, and can’t wait to read Beck’s next book! A very enjoyable read with insight into a political that sadly came to an end. I admired Beck greatly and in reading her book wanted to smack her younger self more then once for her naive decisions with her love life. “Jason”s are never ever worth it. I was not 100% sure what to expect when I started this book. The title was promising and sounded like the book should be both fun and interesting to read and I’m happy to say that I was not disappointed. The author neatly chapters her story into consecutive time segments so that you are not floundering trying to figure out when things happened. 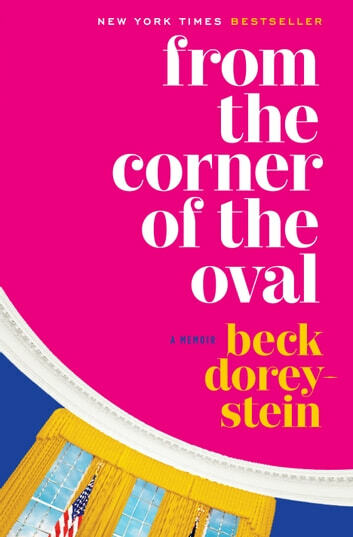 Although her years were during the Obama administration and she clearly admires him, I don’t look at this book as being “political” and to be avoided by anyone who is not one of his fans. I found some of her personal observations of him insightful, but this story is more about her life and work experiences during those years than it is about the President. The story is well written, and I love how the author takes us aboard Air Force One when she travels to exotic locations and brings us back down to earth with discussion on her personal relationships. While living what to many seems a glamorous lifestyle, she finds that real and honest friendships are what really matter. I agree with her friends who tell her that she is a natural writer. I hope that this one is just the first of many books we will see from her. I received an ARC through a giveaway at LibraryThing.com. A review was not required or promised and the opinion given here is my own.